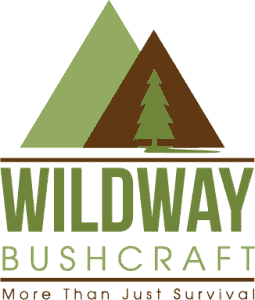 [/vc_column_text][/vc_column][/vc_row][vc_row][vc_column width=”2/3″][vc_empty_space][vc_column_text]We offer bushcraft courses at all levels, whether you are just starting out or looking to expand your knowledge. Here at Wildway Bushcraft, we believe that there is no better place than the great outdoors. Our goal is to provide fun, practical and educational bushcraft, survival and wilderness living skills to enable you to enjoy the outdoors even more. We can tailor your bushcraft courses and survival training just the way you want it, in our own fun, interesting and unique way. Our bushcraft courses, survival courses and wilderness living courses are held in some fantastic woodland throughout Dorset and Hampshire. We offer one day bushcraft courses and weekend bushcraft courses and wilderness living courses in Dorset and Hampshire. Our one day bushcraft courses are a great way to focus you on to one bushcraft subject be it friction firelighting, foraging, campfire cooking or shelter building to name but a few. Not to mention our weekend beginner bushcraft course and our family bonding bushcraft courses. All of our bushcraft and survival courses are held in a relaxed and friendly atmosphere.